Bugyal in the local mountain dialect means "High Altitude Meadow". 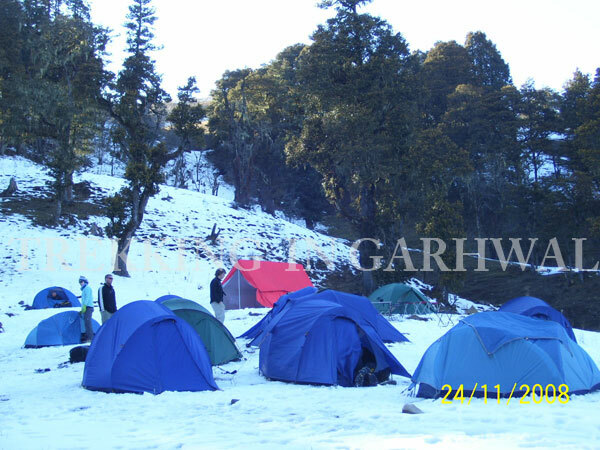 Dayara Bugyal is one of the most beautiful places in Uttaranchal, situated at an elevation ranging from 10,000 - 12,000 ft. 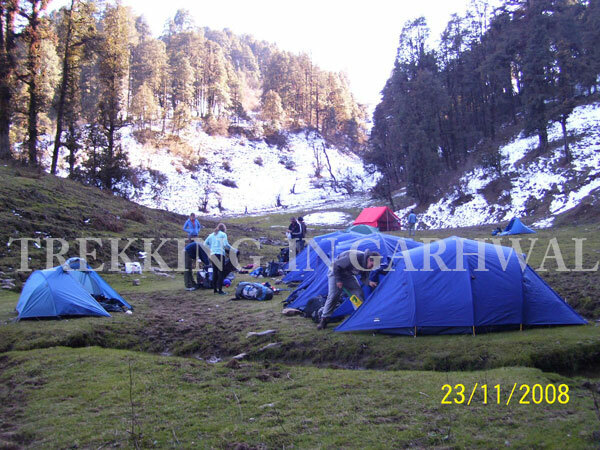 This vast meadow is second to none in natural beauty in Uttarakhand. The possibility of Nordic as well as Alpine skiing are immense here, since during winter it provides one of the best ski slopes in India spread over an area of 28 sq/kms. The road to Dayara Bugyal branches off near Bhatwari- a little township on Uttarkashi Gangotri road about 35 kms. From Uttarkashi, Vehicles can go up to the village of Raithal from where one has to trek a steep incline covering a distance of about 7 kms to reach Dayara and the other route is via village Barsu, 10 kms from Bhatwari from where one has to trek about 8kms to Dayara Bugyal. In the morning take an AC Train for Haridwar at 06:55 hrs. Arrival at Haridwar by 11:25 hrs. 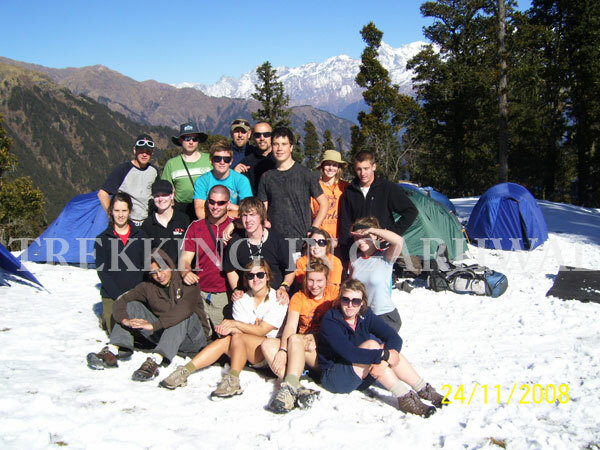 On arrival meet our representative and then transfer to Rishikesh by road and check in to hotel. Evening free to explore the nearby area by your own. The Ganga Arti (a ceremony consisting of chants, lights, and floating butter lamps) performed every evening at sundown is worth a visit. Overnight stay at hotel. Post breakfast drive to Sangamchatti via Uttarkashi. Follow the course of the river Ganga, and thereafter the course of the river Bhagirathi - along their meandering courses, steadily gaining altitude The drive is nothing short of spectacular as the route follows the picturesque Garhwal Mountains. Arrive at the picture perfect hamlet overlooking the vast Bharirathi valley and the close up view of the snow clad Himalayan peaks after a torturous route of uncountable hair pin bends. Overnight stay guest house/tent. 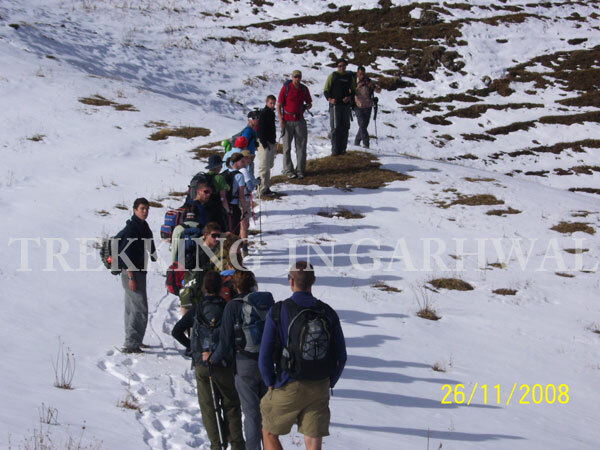 Trek to Barnala Bugyal after breakfast after an arduous climb through dense forest of Oak and Rhododendron. Occasional clearings in these virgin forests present beautiful glades, abundant in a wide variety of wild flowers. Mountains such as Draupadi Ka Daanda are constantly visible from these clearings. The "Chhanis" -summer shelters for cattle grazers are usually located in such areas - (The word "Alms" in southern Germany is used for similar places) , and it is not uncommon to have a small pond nearby - used by the cattle and wildlife alike, as a water hole!. This is the first day of our trek. Overnight stay in tent. 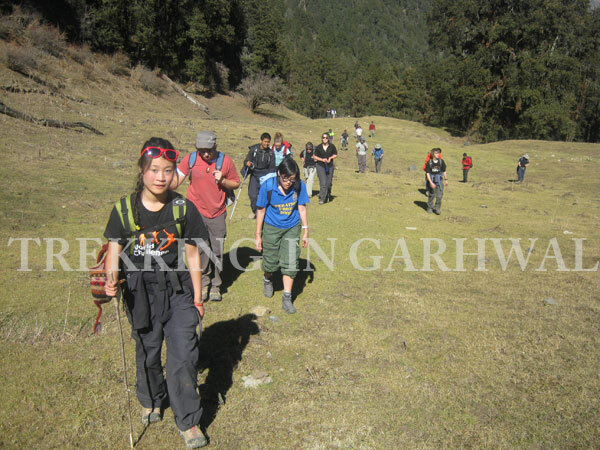 The trek goes on a well-laid out trail through the Pine forests and ascends above the tree line onto the alpine meadows of Dayara Bugyal. The air is so rare at this altitude, that tree life is almost non existant here, and one might see modified varieties of Pine and Juniper adapted to survive at this height! The spring thaw melts the snow giving rise to a soft carpet of wild grass dotted by hundreds of varieties of wild flowers blooming in the bright sunshine. Cattle bells and shrieks of Ravens are the only sounds apart from the gentle humming sounds of the wind are the only companions for the awed visitor. The locals believe that the Bugyals are home to angels and fairies, and it is therefore forbidden for them to consume alcohol or heat here! 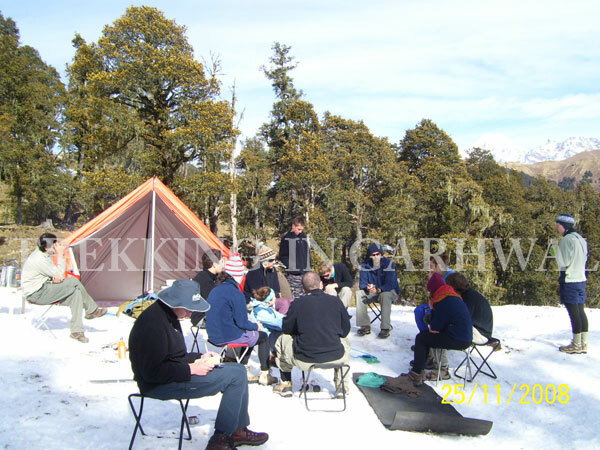 The beautiful sloping meadow rimmed by thinning trees are spread as far as the eyes can see, and are an added attraction for skiers during winter months, as a typical snowfall in Dayara is well over 4 ft deep, and patches of snow are still visible in the month of May. Overnight stay in tent. Spend the day exploring the vast Bugyal, with its undulating surface, innumerous streams, and amazing view of the surroundings. Walking is a bit tough here as one feels the lack of oxygen! Take it easy and walk in ease, as the day is long and there is plenty to observe, such as the Lammergaier and the Griffon - both rare birds of prey! The day is for exploration and relaxation. Overnight in tents. Post breakfast trek down to Barsu village through a step descending path to arrive at this peaceful hamlet! This village was almost completely destroyed in the 1991 Uttarkashi Earthquake, and lost most of its beautiful hill cottages. Today one sees a large number of corrugated iron coverings that have replaced the traditional slate roofs. The motor road ends here- Drive to Uttarkashi for overnight stay.Uttarkashi is an ancient town of learning and religion, and has innumerous interesting temples and Ashrams, and is located in a wide river valley along the river Bhagirathi.Overnight in hotel. Drive onwards from Uttarkashi to Haridwar and from here transfer to Haridwar railway station to catch the train for Delhi at 18:05 hrs. Arrival at Delhi by 22:45 hrs.